On any given weekend, cyclocross fans are enjoying unpredictable battles in the elite women's field, featuring veterans and newcomers alike. It’s no secret that the world’s best female cyclocross racers have produced cycling’s most compelling and entertaining race action this fall. Across the three major European series — World Cup, Superprestige, and DVV Trofee — eight different women have won the combined 12 events. It’s been nearly impossible to predict which elite woman will win any given event. And the races themselves have produced lead changes, nail-biting finishes, and plenty of drama. The riders themselves speak of added depth and more challenging racing this year. What makes this field so deep, the racing so unpredictable? What are the roots of this compelling and dynamic world? VeloNews spoke with multiple sources to better understand exactly why women’s cyclocross has been must-see TV this year. As it turns out, there are economic, generational, and even scheduling dynamics that contribute to the excitement in women’s ‘cross. The women’s cyclocross World Cup still trails the men when it comes to prize money, but UCI rules now require most other races to pay equal purses between men and women. This change has meant that more women can make a living racing cyclocross either full-time or by combining disciplines. So roadies and mountain bike racers now have an incentive to add cyclocross to their racing program. In 2013, the UCI mandated equal prize money at the world championships in Louisville, Kentucky, setting the tone for more reforms. In 2017, it updated rules to require equal prize money at C1 and C2 events. The Trek CXC Cup also broke ground that year as the first World Cup to offer equal prize money for the men’s and women’s fields. She also believes the better payouts are attracting more riders from other disciplines. And the influx of talented mountain bikers and road riders has only deepened the field. For example, road rider Lucinda Brand (Sunweb) — herself a great cyclocross racer — won the recent World Cup in Tabor. Anderson says the field gets deeper every year. “Every year, the younger riders, their level goes up another step and then you also have riders from other disciplines being drawn to cyclocross who already are really rich in talent and they’re then sharpening their skills to cyclocross,” Anderson said. 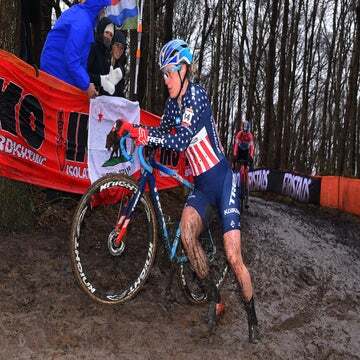 Evie Richards (Trek Factory Racing), for instance, raced a full season of World Cup cross-country mountain biking in the under-23 ranks and has been top-10 at three of four ‘cross World Cups to date. The 21-year-old Brit also stunned the cyclocross scene by winning the fabled Namur World Cup last season. Eventually, the 2021/2020 World Cup season will have equal prize money for the men’s and women’s elite fields as the UCI gradually increases women’s payouts over the next four seasons. In addition to growing prize purses, UCI-registered cyclocross teams are required to have at least one elite female rider, per a UCI rule change in 2017. Anderson feels that change also has made the field more competitive and has certainly offered more opportunities for the top women. 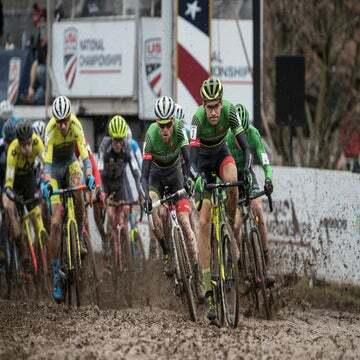 In men’s elite cyclocross, the top 40 riders often commit to race the full series for World Cup, DVV Trofee, and Superprestige, which means they battle each other practically every week. They are lured by start money in the latter two series, and by sponsor obligations. That’s not the case in the women’s field, where the start money is, unfortunately, much smaller, or in some cases not present. But this means talented female riders can drop in and out of the series, depending on their schedules. These riders can then target a fitness peak around specific cyclocross races. Brand rode the UCI Road World Championships, skipped the opening World Cup rounds in North America, and then won the fourth World Cup race. Denise Betsema skipped the opening World Cup rounds and the first DVV Trofee race before winning the most recent World Cup round in Koksijde. Last season, World Cup mountain bikers Jolanda Neff (Kross) and Pauline Ferrand-Prevot (Canyon-SRAM) dropped into the scene for the final stretch of racing. The influx of fit, hungry racers at different points of the season only adds to the unpredictability of the racing. There’s a generational shift going on in women’s cyclocross. A number of talented younger riders are stepping up while several all-time greats continue to race. Richards is one of the top young talents blending in with the veteran riders, such as seven-time world champion Vos (Waowdeals) and Katie Compton (KFC Racing-Trek-Knight Composites), winner of 24 World Cup rounds. This generational shift might be due in part to the UCI’s cultivation of young female cyclocross riders through the introduction of under-23 world championships in 2016. The first three editions of that U23 race have provided a window into the future of elite women’s cyclocross. Richards won the title in 2016 and 2018 — clearly she has arrived at the top level in the elite field. Annemarie Worst (Steylarts-777) won U23 worlds in 2017. This year the 22-year-old Dutchwoman won the Superprestige round in Gieten and European Championships. Other U23 medalists from the last three years have proven themselves as well: Ellen Noble (Trek Factory Racing), Carmen Alvarado (Corendon-Circus), Betsema, and Annemarie Worst. 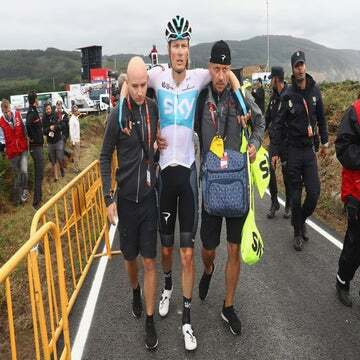 The increase in depth means that riders simply cannot have an off day — even the stars of the sport will fall out of contention when the legs are bad. The emergence of numerous young, talented riders coincides with what is shaping up to be an off year for world champion Sanne Cant (Corendon-Circus). Last season, Cant won five of the nine World Cup rounds, along with the overall, three of eight Superprestige rounds and the overall, as well as five of eight DVV Trofee races. Her 2017/2018 season was capped off with a world title. So far this season, Cant has won four races, only one of which from those three major series, the DVV Trofee round in Niel. Cannondale-Cyclocrossworld.com team manager Stu Thorne says it is natural for fresh faces to rise to the top when there is a power vacuum. “It’s this ebb and flow, and it just happens that some people are picking up the slack when some aren’t having a great year,” he said, pointing out that Compton also has had a slow start to 2018. Compton suspects Cant may have lost some of the motivation to train and race at full intensity, having won practically everything on the table. The 14-time U.S. national champion also said that Cant might have been caught off-guard by how good the next generation has become. With the intense string of races over the Christmas holidays a few weeks away, the women’s races are a gift to cyclocross fans — and the racers are excited about it too. Chris Case and Fred Dreier contributed to this report.